Tell me about your favourite movie? 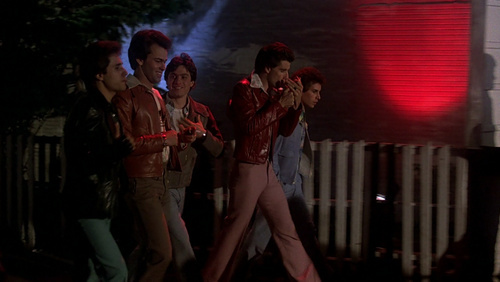 Saturday Night Fever is about John Travolta as Tony Manero a 19 yr old disco king of Brooklyn, New York. He has 4 friends, Joey, Double J, Bobby C and Gus. He has an interest in a girl named Stephanie Mangano. Stephanie becomes Tony's dance partner. Tony loses one of his friends, Bobby C when Bobby became depressed over his expecting gf, Pauline and falls to his death off the Verrazano-Narrows bridge.